these black clouds are going home. My heart shrank like the yellow leaf. I didn't see them pouring. I hope the heart will have some warmth. 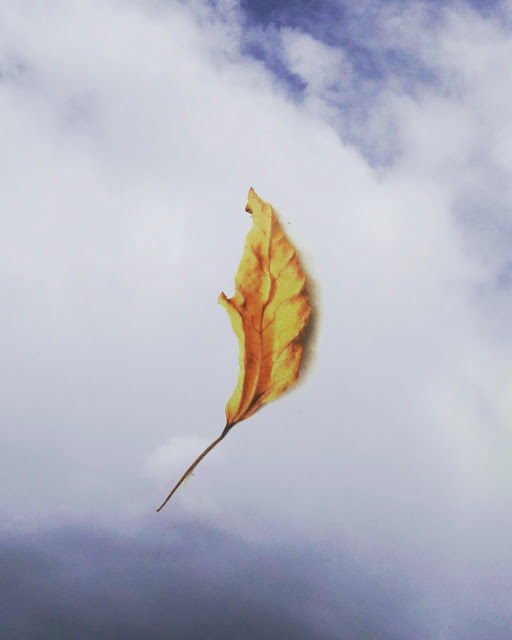 In Picture, a Double exposure of a yellow leaf and cloudy sky.